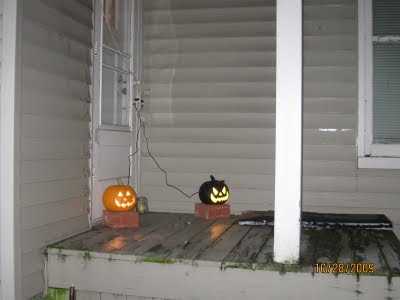 Even though the wind was so cold during that night, I came outside to take a picture of our reusable pumpkin. Hoping this would attract the kids to trick or treats. We don't used this porch here for a long time. I find it really nice and funny. Don't you? that's cute sis. naa pa jud suga. kami kay wa decor tong halloween. u know na, we don't celebrate it here as much as it is being celebrated there man diba. thanks for the visits! ingatz!